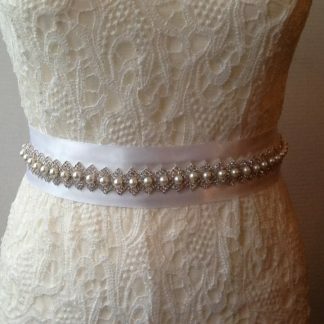 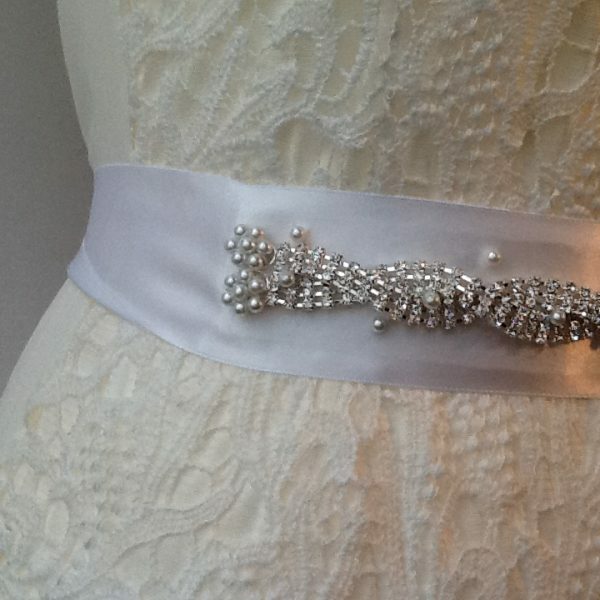 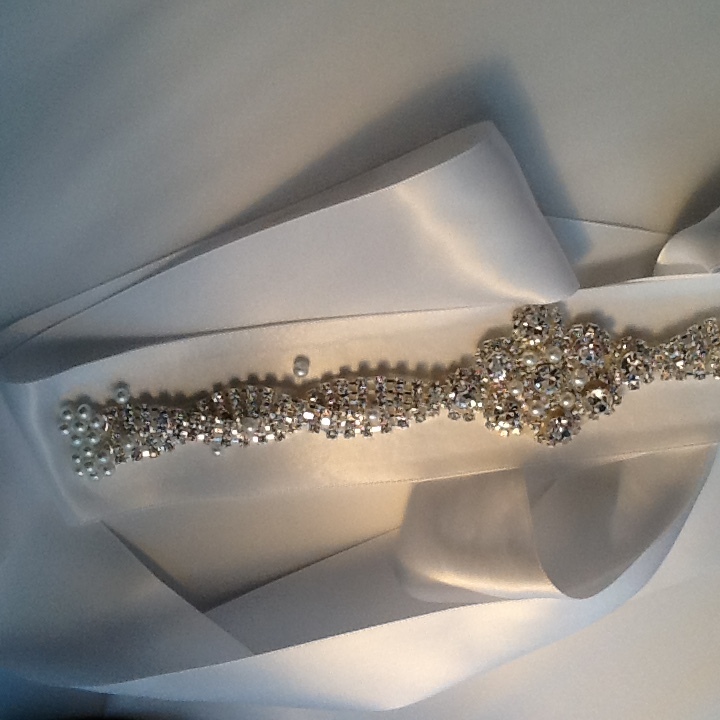 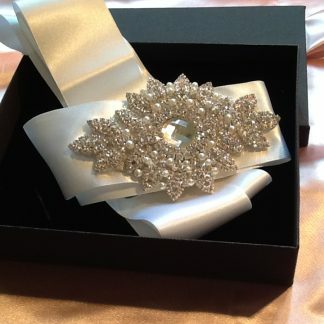 Home / Weddings / Wedding Accessories / 1)Wedding dress belt, Wedding dress sash. 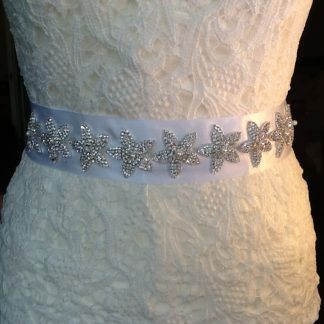 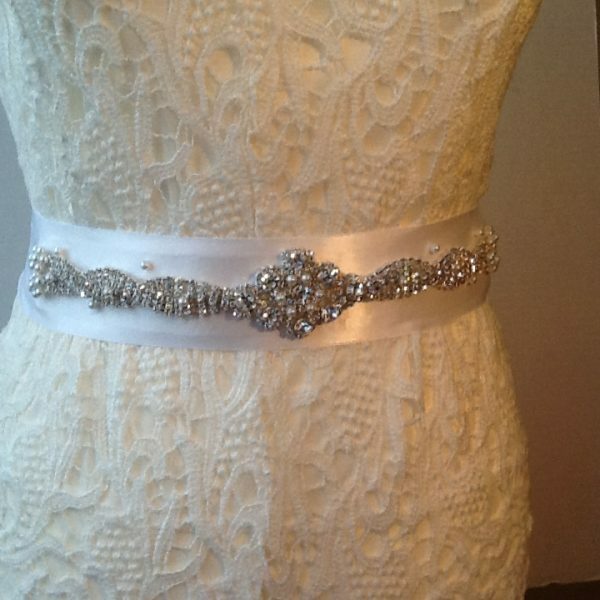 New wedding belt /sash handmade. 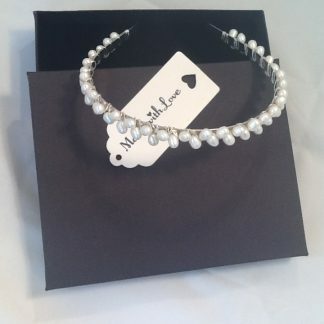 Beautiful applique with white glass pearls and very glitzy quality rhinestones. 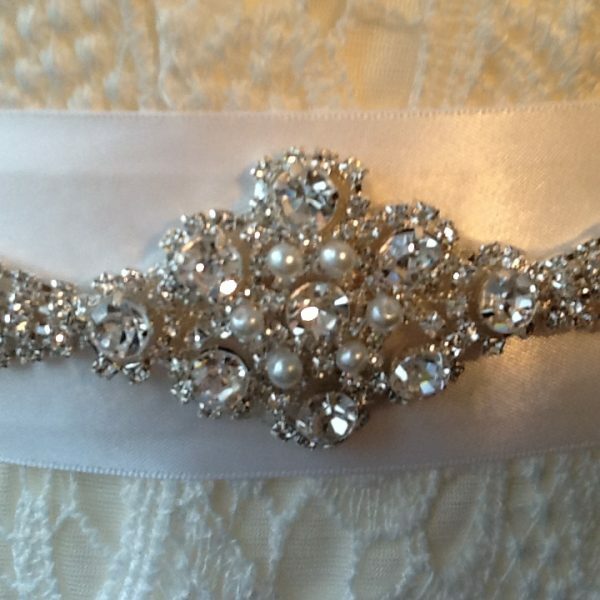 The applique is attached to a white double sided high quality satin ribbon that is manufactured in the uk.